Have you ever wondered who the antichrist is? There are many books on the topic. Many evil men throughout history have been proclaimed by sincere Christians to be this villain. Without exception these powerful men have failed to become the evil world ruler many Christians teach and believe this person will become. So who is this person and how can we positively identify him? The word 'anti-christ' is used only five times in Scripture. The Apostle John is the only writer to mention it and then only in First and Second John. It is never mentioned in the most famous supposedly "end times" book: The Book Of Revelation. Amazing isn't it, how much is written on a subject which Scripture says so little about? The first two times this word, which strikes fear in the hearts of many Christians, is mentioned is in 1 John 2:18. "Children, it is the last hour; and just as you heard that antichrist is coming, even now many antichrists have arisen...[NAS]. Even in John's day some Christians were looking for the anti-God person. John takes their singular anti-christ and makes it plural. They were looking for one person, a super-villian, John corrected them by saying that anti-christs had already come [and that was 2,000 years ago!]. Who were these people to whom John was referring? In the next verse he explains about whom he was talking. He says "they went out from us, but they were not really of us..."[NAS]. Some people with the appearance of Christians were pretending to be sent from God and were teaching heretical doctrines. These deceivers were wolves devouring the flock of God. What did these God-opposers believe? "Who is a liar but the one who denies that Jesus is the Christ? This is the antichrist, the one who denies the Father and the Son" [1 John 2:22]. The characteristic of these people is believing/teaching false doctrine concerning Jesus as Messiah and the relationship of Jesus with the Father. Also note, the context does not allow this to refer to a single individual [especially a future one]. Anyone who holds the above beliefs is an anti-christ. John stated that many of were alive during his own lifetime. They have been a Satanic hindrance to the church down through the ages even to the present day. They are literally "against Christ." John again confirms this interpretation in 1 John 4:3. "And every spirit that does not confess Jesus is not from God; and this is the spirit of antichrist, of which you have heard that it is coming, and now is already in the world [NAS]. 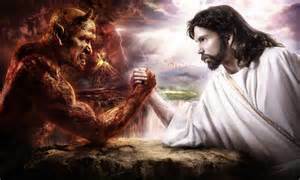 Notice that the spirit of anti-christ is identified by what it believes/teaches about Jesus. Specifically this spirit denies that Jesus came in the flesh [1 John 4:2; 2 John 7]. Also, John said very plainly that this evil spirit was already in the world as he was writing. The last time anti-christ is mentioned is in 2 John 7. "For many deceivers have gone out into the world, those who do not acknowledge Jesus Christ as coming in the flesh. This is the deceiver and the antichrist" [NAS]. 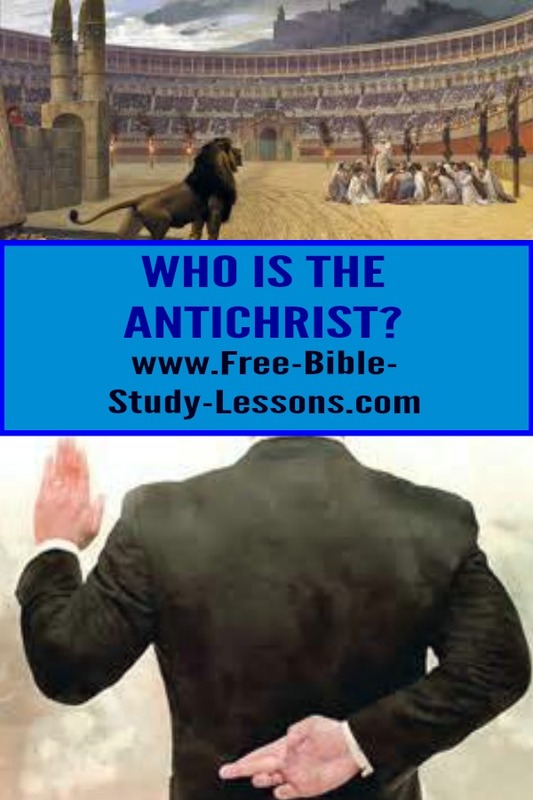 Who is the anti-christ? People who claim to be Christians and yet "...do not acknowledge Jesus Christ as coming in the flesh"
Some may say that because three out of the five references to anti-christ say 'the' anti-christ; it must be referring to a specific individual. Not all versions say 'the'. The King James Version does not once say 'the anti-christ'. Let's see how two other versions put it. "I say, therefore, that any man who refuses to acknowledge the Father and the Son is the antichrist" [ 1 John 2:22, Phillips]. "Any such person is the deceiver and the antichrist" [2 John 7, NIV]. Scripture plainly states that any person who denies Jesus came in the flesh is the anti-christ. All five references forbid this word to refer to one specific individual. For those who still persist, John teaches that the anti-christ was alive when he was writing nearly 2,000 years ago. If he is a specific person and is alive now or will be in the future, then he has been living for almost 2,000 years! No human being would qualify. The only person who could, would be Satan. However, considering the Scriptures above, I don't think even that interpretation is allowed. Why then do some people believe the anti-christ is a future evil world ruler? They do so because they connect it with the Beast of Revelation and the Prince of Dan. 9:26. Given John's definition of 'anti-christ' there is no biblical reason for such a connection. There have been and there are many anti-christs. Do not be confused. We must use the Bible to define its own terms and then accept them.